Summer Reading is about to start. 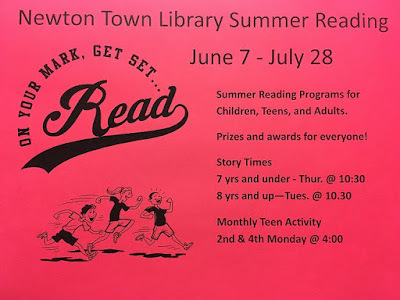 Come sign up now for summer reading. Our kick-off part will be June 7 from 10:30 to 12 at the Park Pavilion. Come and enjoy some fun crafts and games. Don't forget to join us for story times on Tuesdays and Thursdays. Teen activities will be twice a month from now on. 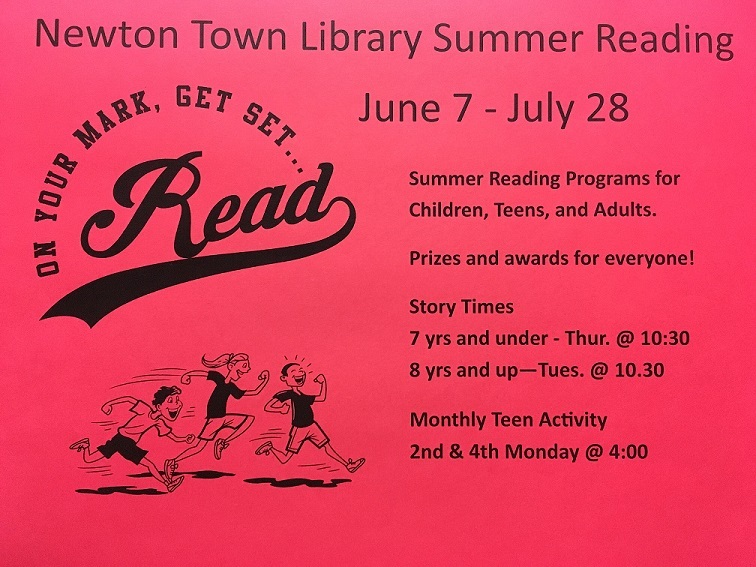 Adults can participate in summer reading too and don't forget there are prizes at the end for everyone.